Cruise Ship Injury & Accident Lawyers fight for you! An ocean cruise should be a fun, relaxing, and all around enjoyable experience. But Cruise Ship accidents and cruise ship injuries can abruptly end your dream vacation. If you have been hurt on a cruise, contact a Cruise Injury Lawyer as soon as possible after you arrive back at the Cruise Terminal. 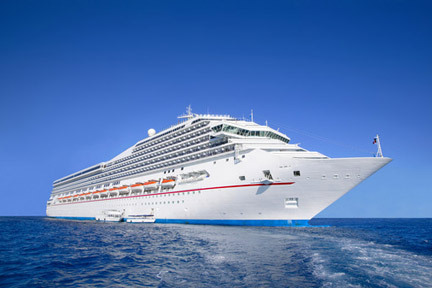 Even if you were injured on a cruise out of another port in another state, a Cruise Injury Lawyer may be able to help. Whether you have been injured in a recreational boating accident, as a member of a crew, or as a passenger on a commercial cruise ship, a maritime injury attorney and cruise ship accident attorney are here to help you. If you have suffered an injury aboard a boat or cruise ship and would like to pursue a claim, contact one of the qualified cruise ship attorneys listed on this page today for a free initial consultation. Similarly, if you have a loved one who was injured or, worse yet, killed in a fatal cruise ship vacation accident or other boating fatality accident, a maritime personal injury lawyer will help you. Injuries due to Medical Negligence from the ship's doctor or medical assistant. Often times, when people are treated on board a ship or when an ill person is left behind for treatment at a port in a foreign country and receives inadequate care, improper diagnosis, or improper treatment what may have been a minor injury turns into a very serious injury or even a fatality. Since the 1980s, the cruise industry has had a very healthy increase in business. It is one of the fastest growing leisure industry sectors. Because of this, the cruise industry faces the challenge of demands on the infrastructure and the risk of an eroding on-shore experience and safety. The public sector has scrutinized the practices of cruise lines related to security and safety. In June of 2008, the U.S. Senate held open hearings into the safety of cruise ships for U.S. passengers. The findings were not positive but still the industry is seeing record profits. One of the most important things you can do is to READ YOUR TICKET. Cruise tickets can often be very long and contain extremely important information. Because this information is often printed in very small type, most people never even read it; however, important legal rights can be affected by the language in this fine print. You may have less than six (6) months to file a claim. Even though you may not have read this information prior to boarding the ship, or even after suffering your injury, a court will likely enforce this provision and you will be barred from filing your claim if you don't act quickly. Call one of the experienced County cruise ship lawyers listed above for a free initial consultation. If you are an employee of a cruise line injured on the job, or any other time of worker aboard a cruise ship, barge, container ship, oil rig, tug, or any other type of vessel, you may have a Jones Act claim against your employer. Jones Act claims are the maritime equivalent of workers' compensation, but may allow for other damages. See our Maritime Injury Lawyer page for more information on whether you qualify as a Jones Act seaman who can receive compensation under the Act. Many other types of maritime workers are covered under the Defense Base Act which protects some military contractors. The Death on the High Seas Act, or DOHSA, applies to any death occurring beyond 3 nautical miles from the shore of any State or U.S. Territory. Liability under DOHSA may be premised on a variety of legal theories, including negligence, unseaworthiness if the decedent was a seaman, intentional conduct, strict liability, or products liability. Moreover, DOHSA is a broad Act that applies to nearly all decedents on the high seas no matter if they are maritime workers or non-maritime workers. One notable exception is that workers on certain oil rigs or platforms may be covered instead under the Outer Continental Shelf Lands Act. DOHSA may also apply to aviation accidents that occur beyond 12 nautical miles from the U.S. shore. In these cases, application of DOHSA may actually limit recovery for the families of those killed in a plane crash from those in a general wrongful death case. In addition to other types of maritime deaths, Maritime Attorneys experienced in DOHSA will know how best to handle an aviation accident at sea and can help you if you have suffered such a loss. If you have been injured on a cruise, you need a qualified Maritime Lawyer or Cruise Ship Lawyer near you!